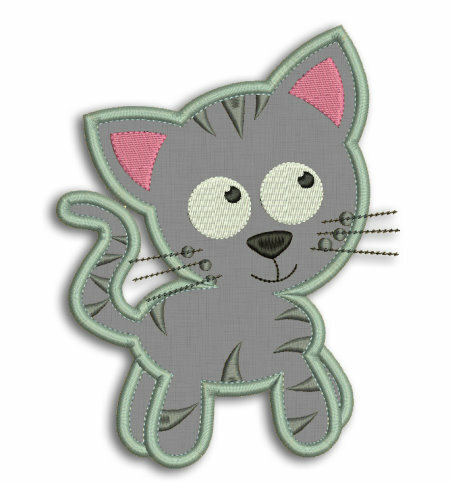 Cute Cat 2 Applique - 4x4, 5x7 & 6x10 - $4.99 : Fancy Fonts Embroidery, Home of the ORIGINAL Trendy Dots Font! This is the second Cute Cat Applique in our "Cute Cats Applique" series! "Purr-fect" for any project, including Halloween using black fabric to make the cutest Halloween black cat! 3 sizes for the 4x4, 5x7 and 6x10 hoops!